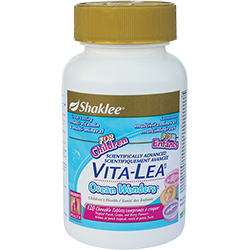 Vita-Lea® Ocean Wonders® is a great-tasting, scientifically advanced and tooth friendly multivitamin & multi mineral formulated specially for children. Chewable and sugar free, Ocean Wonders promotes the development of strong bones and teeth. Provides 100% of the daily value of vitamins C and E, plus calcium, magnesium and more! Features 600IU of vitamin D to help promote strong bones and teeth. 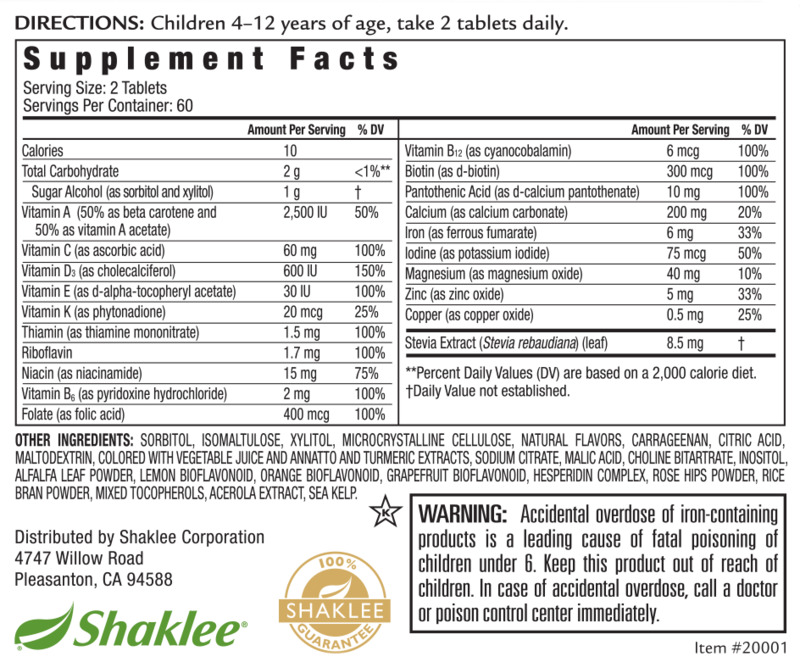 Children 4-12 years, take 2 tablets daily.